Images of Chief War Eagle, his grave site, the park and the monument honoring him. This is how War Eagle's "friends" remember the great Sioux chief, friend of white man in this photo published Dec. 4, 1965. 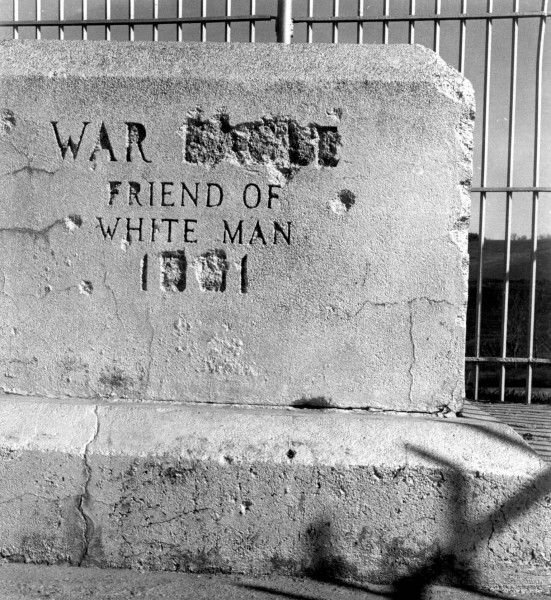 Since the monument was placed on a remote Sioux City hilltop back in 1922, vandals repeatedly stole metal plaques marking the grave, defaced the stone and threw the iron fence down the hillside. 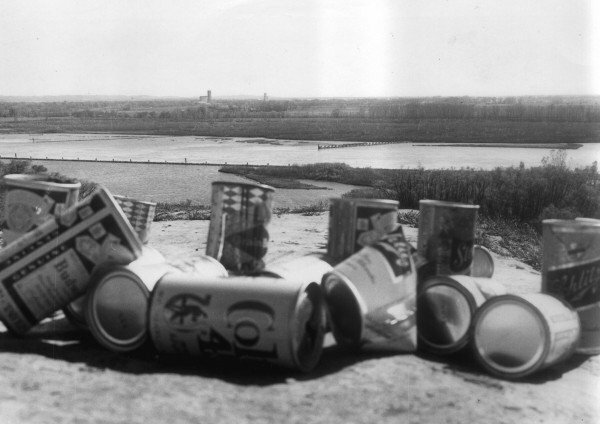 Beer cans strewn about the base of the grave are collected to illustrate what some persons leave behind as another American heritage. Over the heap is the view of the mouth of the Big Sioux River as it enters the Missouri. This photo was published in the Sioux City Journal Dec. 4, 1965. This undated photo shows the view of the Missouri River from Chief War Eagle's grave on top of a bluff in Sioux City, Iowa. Motorcycle ruts scar many slopes in the park area near War Eagle's grave. Recently the city installed posts in an attempt to reduce this misuse of the site. The ruts have been one of the chief causes of erosion here. This photo was published Dec. 4, 1965. The grave of Chief War Eagle is shown in this May 1, 1952 photo. This Aug. 1961 photo shows vandalism to the fence surrounding Chief War Eagle's grave in Sioux City, Iowa. Rueben Snake, Winnebago tribal leader, right, particpates in the plaque dedication ceremony Monday, June 27, 1978, at the War Eagle monument. City and county officials as well as Indian community leaders attended the rites and Indian style lunch. Markers were installed at the monument base earlier. Undated photo showing the stone marking the grave of Chief War Eagle. This photo published July 4, 1949, shows damage to the fence and stone marking Chief War Eagle's grave. Descendants of Chief War Eagle, "numbering in the hundreds" on Cheyenne, Yankton and Standing Rock Indian Reservations in South Dakota, would like to see his monument and grave as well preserved as Sgt. Floyd Monument, according to Mrs. George Nicholas, St. Francis, S.D., great-great-granddaughter of the famous chief who claimed the hunting grounds at the mouth of the Big Sioux River.